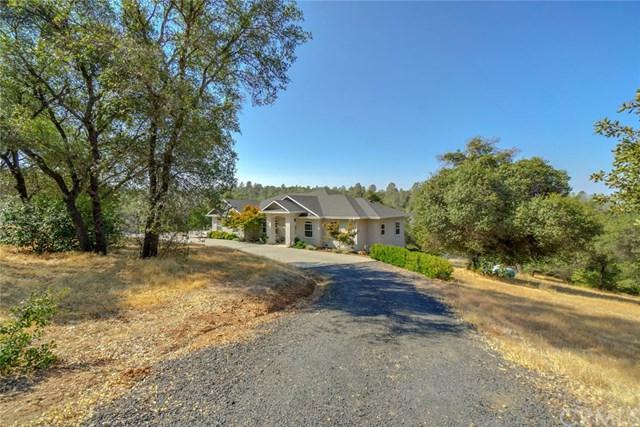 Highly desired country living just outside of Oroville, California. 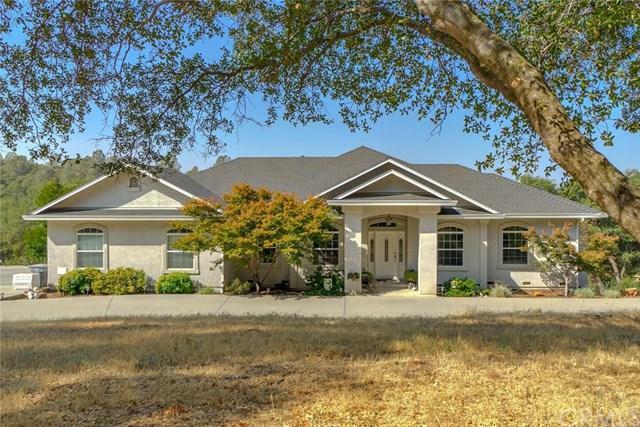 This beautiful custom single-owner property situated on 5 acres was built in 2004. 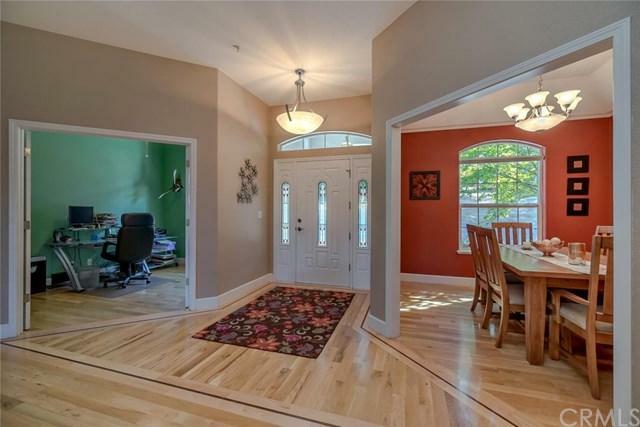 The home features 3 bedrooms, 3 full baths, with a french door office space near the front entrance and boasts 10ft ceilings on main floor with higher decorative ceilings in the master and dining room areas. The large master bedroom features a walk-in closet, heated jet tub, private covered deck (Choicedek) with two fans for those hot summer afternoons. Generous living space, LED recessed lighting and large double paned windows throughout this home creates a light and airy feel. Downstairs you'll find a large finished daylight basement with its own full bath, mini bar and fridge, with access leading out to a lush fenced backyard. 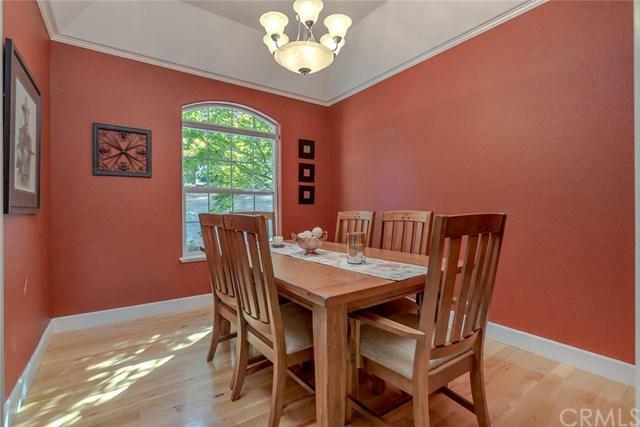 +-Energy saving features include whole house fan, recirculating 80-gallon hot water heater, 4 inches of extra insulation blown into the attic, attic ventilation fan for summertime, pellet stove which heats the whole upstairs and leased solar. Safety features include a security alarm system and fire sprinkler system. Owned propane tank and leased water softener. 220 hookup off the downstairs patio for possible hot tub and Cristy electrical box for possible shop. Buyer and buyer's agent to verify all information regarding 601 Circle Dr.
Sold by Mike Hill of North State Real Estate.